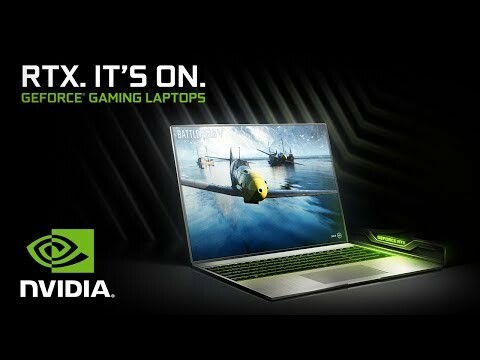 rtx graphics for an immersive experience The new Razer Blade 15” gaming laptop takes mobile gaming further with an almighty Full HD, 1920 x 1080 display, delivering edge-to-edge gaming in an extremely thin form factor with 4.9 mm thin bezels. Fitted with a Hex-Core 8th Gen Intel® Core™ i7 processor and NVIDIA® GeForce RTX 2080 graphics with Max-Q Design, for a remarkable gaming performance. With dual-channel memory and 512GB NVMe SSD both offer a seamless experience. The per-key backlit keyboard features Razer Chroma software that allows you to customize your keyboard keys individually with RGB lighting. Adaptably connect up to three external displays for an extensive workstation through Thunderbolt™ 3, Mini DisplayPort, and HDMI. EXTREME PERFORMANCE TO CONQUER ANY TASK The new 15” Razer Blade is powered by an incredible 8th Gen Intel® Core™ i7 six core processor and the new NVIDIA® GeForce RTX 2080 graphics with innovative Max-Q design. Experience real-time ray tracing, artificial intelligence, and programmable shading with the Turing based outstanding GeForce RTX graphics. Get full control while simultaneously playing and streaming, or exhausting the latest creative apps to edit videos. a gaming performance like never before Equipped with the new game-changing NVIDIA® GeForce RTX 2080 GPU with Max-Q Design, unleash gaming dominance with the incredibly thin Razer Blade gaming laptop. Experience real-time ray tracing, artificial intelligence, and programmable shading with the Turing based outstanding GeForce RTX graphics. The latest generation of graphics provides even better performance and power efficiency of previous-gen GPUs.